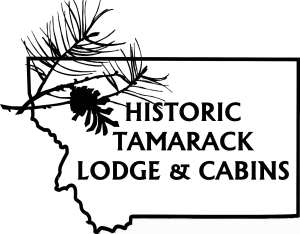 Built in 1907 in the town of Belton (now known as West Glacier), the lodge now sits at its present site in Bad Rock Canyon, bookended by Flathead National Forest at the back of the property and the Teakettle and Columbia Mountains stretching their legs for sparkling sunset views to the west. 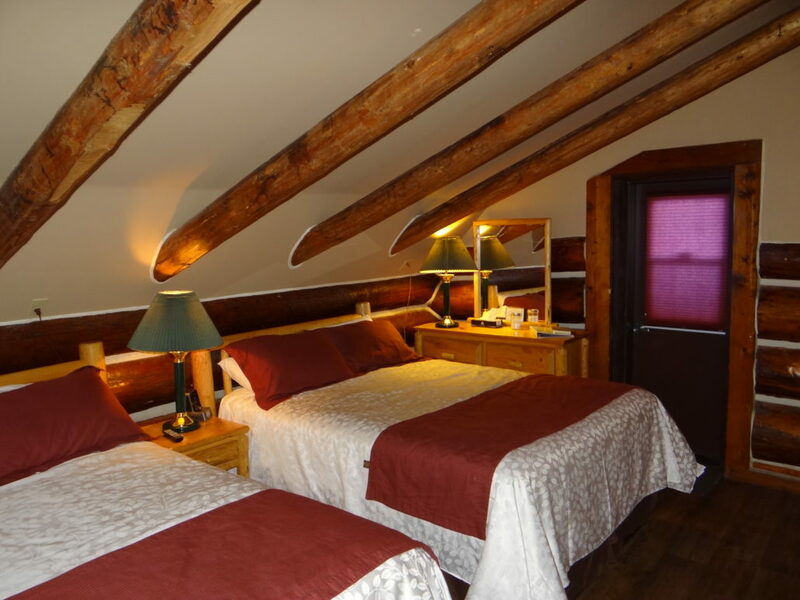 In the updated eco-friendly lodge, find a feel of old-time serenity with the addition of modern amenities, whether downstairs in the common areas, or up above in the snug log cabin accommodation. Upstairs in second-floor lodge rooms, lofted ceilings show off the original rough-hewn beams, maintaining the charm of the building’s historic heritage while bringing guests modern updates, including ensuite baths and complimentary wifi. Satellite TV, coffee makers, and iPod docking station come standard in the rooms. If you’re looking to unplug and unwind, the cozy lodge great room provides a fireside retreat ideal for curling up with a book while the snow drifts down outside. Select from our library of books and board games, or sip a latte or hot chocolate from the Saloon. If you crave something stronger, sample the array of local micro brews and locally-distilled whiskies, crafted in surrounding towns for that unbeatable Big Sky flavor. 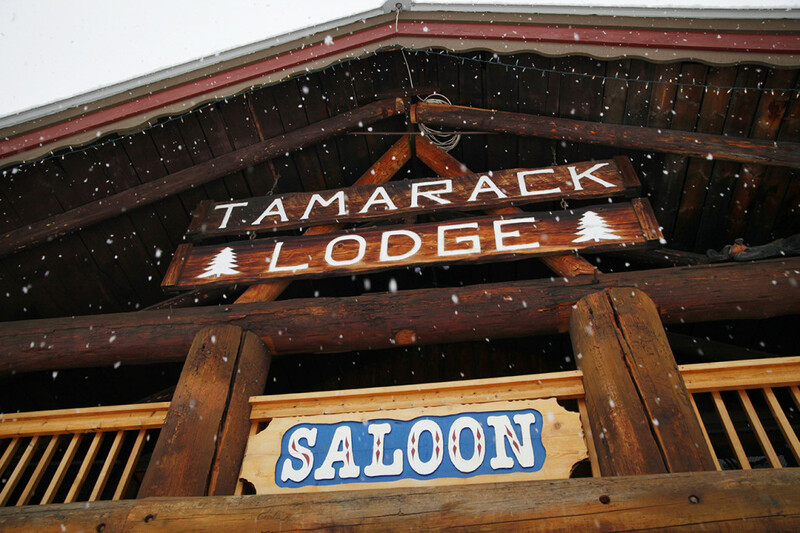 In a fusion of rustic history and modern updates, the lodge at Historic Tamarack Lodge & Cabins provides a winter wonderland retreat, best enjoyed after an invigorating day of snowshoeing in Glacier National Park, skiing in Whitefish, or exploring local shops. 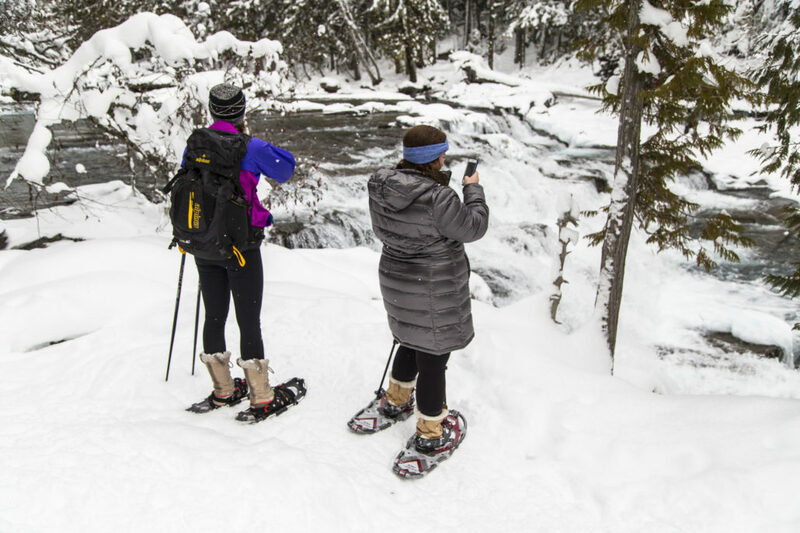 Give us a call or reserve online to explore the Crown of the Continent when it’s dressed in white, a frosty wilderness of winter sports and relaxation.